The ClearPAC Plus ends the guesswork of pond management by combining essential pond maintenance products into 1 complete pond care package. The ClearPAC Plus allows pond owners to eliminate algae, improve water quality, reduce pond muck, promote fish health and maintain crystal clear water in a few simple steps. 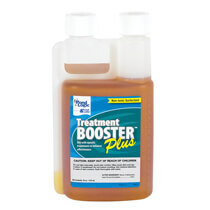 The ClearPAC Plus includes MuckAway to combat excessive pond muck. Eliminate pond muck from high traffic beach areas and lake shorelines so you can spend more time enjoying your pond and less time wading in muck. 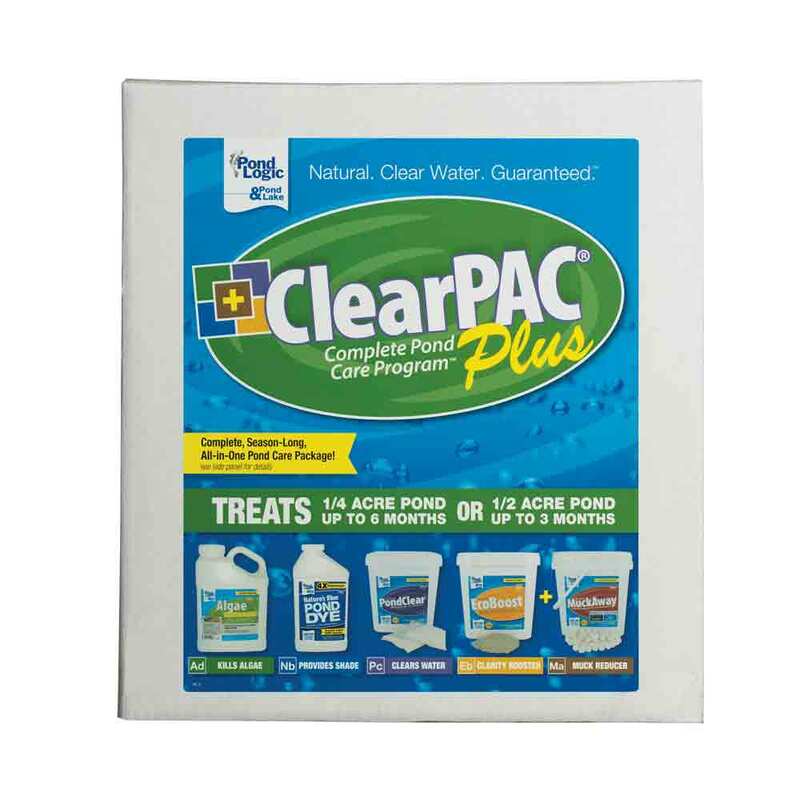 Along with our essential pond maintenance products, the ClearPAC Plus comes complete with easy-to-follow instructions and is guaranteed to work or your money back! Live in a state that restricts algaecides? Not to worry, the ClearPAC Plus is available without Algae Defense so you can enjoy a crystal-clear pond regardless of where you live. What is Included in a 1/4 Acre ClearPAC Plus - DIY Kit? 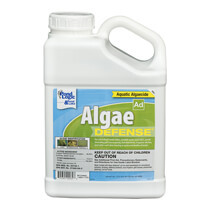 Eliminate floating and submerged algae with 1 gallon of Algae Defense. This broad spectrum contact algaecide works fast on active algae growth. 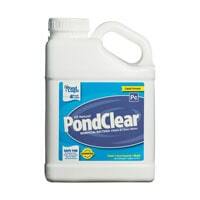 Remove excess nutrients, suspended organics and odors from your pond with 24 packets of PondClear, a natural water clarifier. 16 scoops of EcoBoost provides added trace minerals to promote fish health while enhancing beneficial aerobic bacteria and binds phosphates for water clarity all season. Shade and protect your pond, while enhancing its appearance an ideal blue color with 1 quart of Nature's Blue Pond Dye. Spot treat troublesome shorelines and beach areas with 8 scoops of MuckAway. Precision pellets digest up to 2 inches of pond muck per month. Watch the ClearPAC Plus Product Video. Download the ClearPAC Plus with Algae Defense product label. Download the ClearPAC Plus without Algae Defense product label. Step 1: Add 8-16 fl oz of Nature's Blue Pond Dye for ponds up to 1/4 acre with an average depth of 4-6 ft deep. Apply every 4-8 weeks, or as needed. Step 2: Do you have algae? • Yes - Treat pond with Algae Defense. For best results, mix 16 fl oz of Algae Defense with 1-1/4 gal to treat an 1,000 sq ft area with water temperatures are 60°F. • No - Go to Step 3. Step 3 - For ponds up to 1/4 acre with an average depth of 4-6 ft deep apply 2 packets of PondClear and 2 scoops of EcoBoost once every 2 weeks. 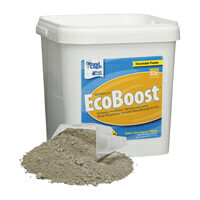 Step 4 - Apply 1 scoop of MuckAway up to 1,000 sq ft beach area or shoreline every 2-4 weeks. • Do not use Algae Defense in ponds with koi, grass carp or goldfish. Not for use in water garden or koi ponds. 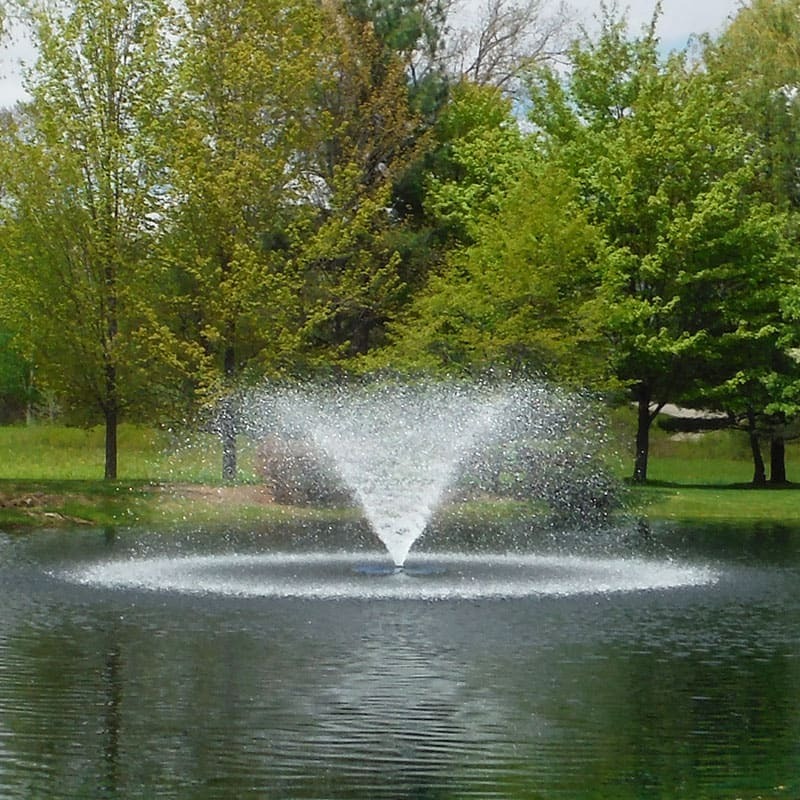 • Do not use Algae Defense in ponds with trout, unless carbonate hardness is above 55ppm. • It is not recommend to apply in ponds used for household drinking.